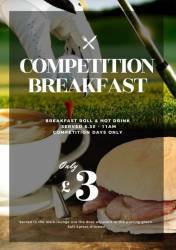 Latest News : Competition Breakfast! Please note that on Saturday 12th May we will be opening the breakfast cafe again. 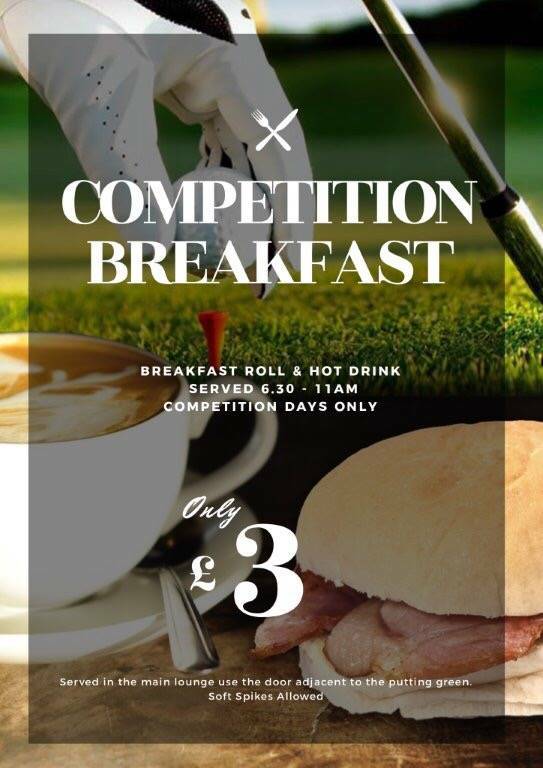 It will be in the main lounge from the door adjacent to the putting green for Breakfast Bacon Rolls etc. It will be available from 6.30am - 11am. Special Members offer - Bacon or Sausage Roll with a hot drink for £3. Soft spiked golf shoes will be permitted in the designated area using the side door. Simply come in take a seat and wait to be served. Cash only please as the main bar will not be open for use of cards.